Wandering around a drugstore scanning the aisles for home pregnancy tests can be a challenging and formidable experience. These home pregnancy tests can be expensive and almost all of the boxes look practically the same. Feeling very apprehensive because you’re about to find out if you’re pregnant or not doesn’t help either. It’s definitely a moment no woman forgets. But we have you covered! Here’s an overview of what home pregnancy tests actually do. 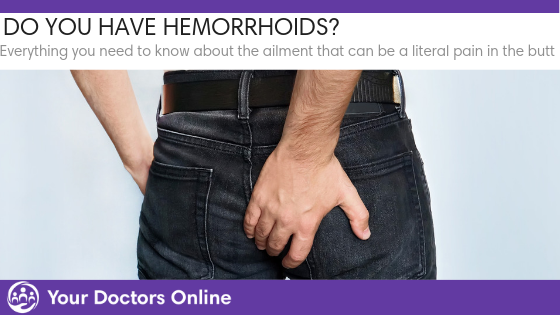 They are specifically designed to pick up a hormone called human chorionic gonadotropin (hCG). When an individual is pregnant, hCG can be found in the blood and later on in the urine. That’s the reason why you are instructed to pee on the sticks. Nearly all of the home pregnancy tests in the market claim an accuracy rate of 99 percent. However, no test is perfect because there will always be a chance that people may not use it 100 percent correctly. Considering that there’s room for error, here are the top choices for the most accurate and easy-to-use home pregnancy tests that are available at the drug store today. But if you still don’t trust an over-the-counter stick to tell you if you’re pregnant or not, give your doctor a visit. You’ll have the test in their office or clinic. They will help you to determine what happens next. 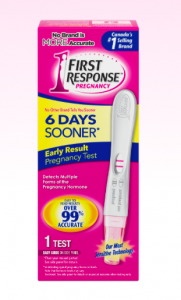 This is the top choice for home pregnancy tests because of a 2011 study that revealed that this particular product detected 97 percent of pregnancies on the first day of a missed period. The other two products tested EPT and ClearBlue detected only 54 percent and 64 percent of pregnancies respectively. As an added bonus, the stick is curved so it easier to hold while you pee. The price for this top choice is $19.99 for two sticks. 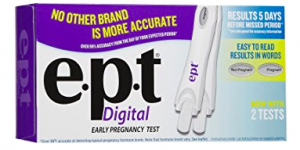 This is another one of the top choices for home pregnancy tests because it’s digital and it yields results saying “yes” or “no” when you pee on it. Even if you’re nervous and your hands become shaky and your vision seems to be getting cloudy, you won’t find it difficult to know the result because interpretation is not necessary. The words clearly state the result. Truly top of the line, don’t you think? The price for this top choice is $20.99 for two sticks. This product is another top choice but from a different brand name. It’s digital and an added time bar on the stick provides you information on how long you need to wait before the results will be displayed. It’s also easy to read. The results would either say “pregnant” or “not pregnant.” And if you still can’t believe the first result, you can try four more times because there are 5 sticks in the box. This only means that this top product is one of the most affordable home pregnancy tests out there. The price of this top choice is $24.99 for five sticks. This is another top choice for home pregnancy tests and is good for those who prefer digital tests. It has an hourglass icon that shows that it’s working. It also clearly states the result with either “pregnant” or “not pregnant,” so there’s no room for misinterpretation. The price for this top choice is $23.49 for two sticks. Could DNA Link Cancer Risk for Some Women?